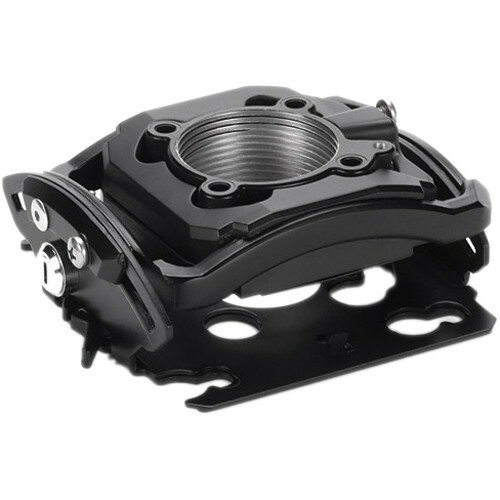 The black Mini RPA Elite Projector Mount with SSM331 Bracket from Chief is designed for small projector models. This mount features a Q-lock quick-release lever with an integrated type C key and lock system. It comes with the SSM331 Interface Bracket for fast and easy installation. Please refer to the MountFinder tab on the right side of the webpage.